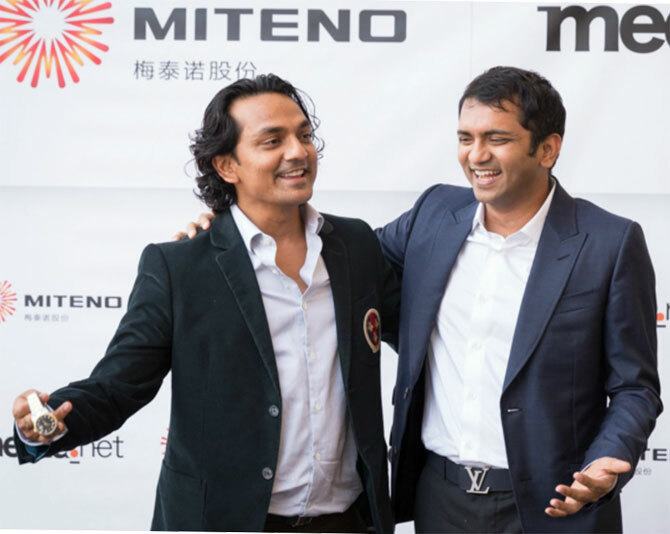 Had the Turakhia brothers not executed the world’s largest advertising tech deal on Monday, the two would have continued to be unknown, something they’ve enjoyed through their nearly-two decades long journey as tech entrepreneurs. On Monday, their firm Medianet was acquired by China-listed Beijing Miteno Communication Technology (BMCT) for about $900 million. Bhavin (36) and Divyank (34), commerce graduates from noted colleges in Mumbai, have been serial entrepreneurs from their college days in the late 1990s. That was when the dotcom boom was gaining steam and companies such as Yahoo! and Google were ascendant. In the past two decades, the brothers have incubated 11 start-ups under the Directi umbrella, their flaghship business that began as a web hosting company in the late 1990s. The brothers were good at coding and used their understanding of technology to start the web hosting business with money borrowed from their father, a chartered accountant. They quickly won clients such as Nasscom, CMIE and People Group and sold the business to Nasdaq-listed Endurance Group in 2014 for $160 million. Currently, Directi is managed by Bhavin Turakhia, who runs four start-ups in web communications and payment systems under this firm, headquartered in Mumbai. Divyank, who managed Medianet, will continue to lead it after acquisition. The Dubai-and-US-headquartered firm derives the bulk of its revenue from the US, which remains the largest online advertising market in the world. China, however, is emerging as a significant online ad market, prompting BMCT to lay its hands on Medianet, experts said. Divyank is expected to help BMCT steer Medianet in its next phase of growth, notably in the Chinese market. Some portion of the $900 million, the acquisition price of Medianet, will be utilised to incubate new businesses. The tech world will be watching the next move of the Turakhias, who remain single and committed to their business operations, closely.